Dog avoid creating one as well as looking breed, which later split into today’s wide range of dog breeds. Development of the dog has a long history. The dog was accompanied by a man already 15,000 years. First dog helps a man in love, and later became the guardian and protector of human settlements. In later times, as has evolved over many dog breeds, dog provided to man more and more useful services. After that u people find a regular supply of food, as well as protection. Over time, the dog rework of Justice dwelling and found a way into people’s hearts. The dog is man’s best friend, and vice versa, the best friend the dog is man. Most older people get a dog due to them spriemnil life and his presence filled the room for adult children. People can cater to dogs as their pets for a sense of security, confidence and happiness. 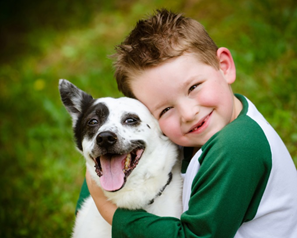 Children who take care of the dogs, take at an earlier age habits of responsibility. Man and dog belong together has always been. Care for dogs has a long history, so let’s do something today about what is not better care to the next generation in the future should the dogs happy. ECO DOG TOILET help with walking the dogs and also makes a cleaner and more beautiful world for future generations.